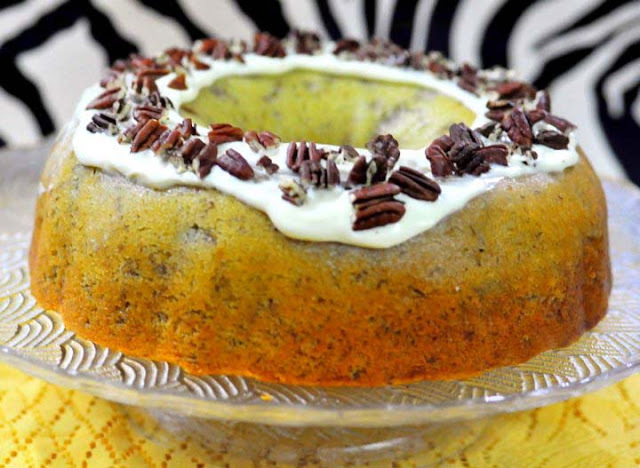 Confectionery Queen: Banana Bundt Cake With Cream Cheese Frosting. Banana Bundt Cake With Cream Cheese Frosting. So i skipped grandaunt's recipe and searched for a good banana cake recipe (which doesn't involve any egg-whites beating) online, and came across 'Best Ever Banana Cake With Cream Cheese Frosting'. Sounds promising enough. I'd always wondered whether banana cake and cream cheese tasted good together. And i'm glad that they do! 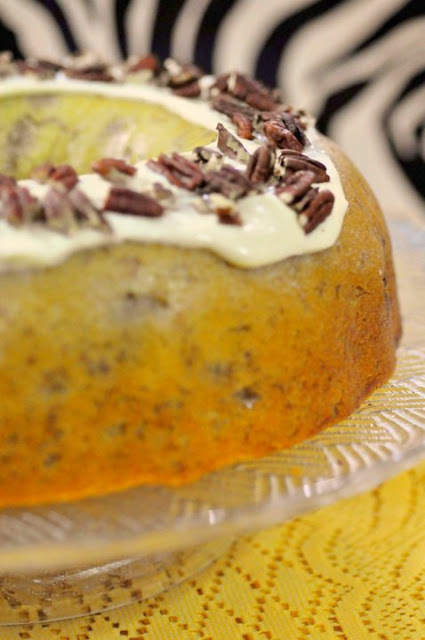 This banana cake lives up to its name. Not exactly The Best of The Best of all Banana Cake. But at least one of the best that i've ever tasted (of course, my grandaunt's banana cake is still at the top of my list). Everyone at home loved it! 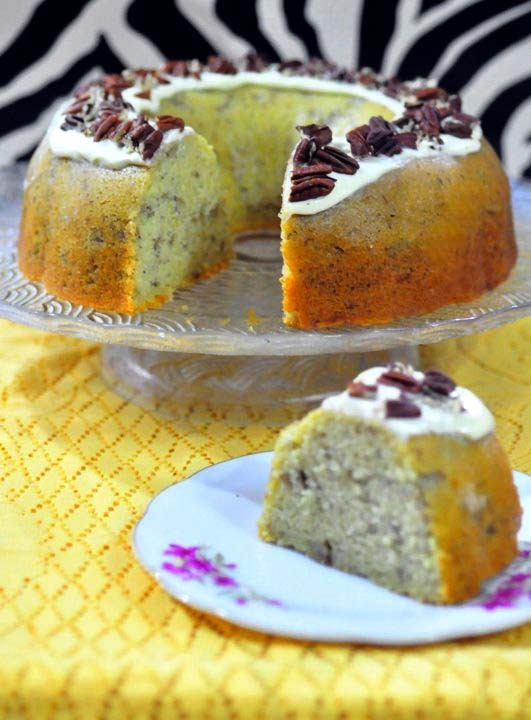 It's light, super moist, moderately sweet with intense banana flavour, and the mild tanginess and sweetness of the cream cheese frosting complemented the flavour of the cake. But the cake tasted good without the cream cheese frosting too. For the frosting, cream the butter and cream cheese until smooth. Beat in 1 teaspoon vanilla. Add icing sugar and beat on low speed until combined, then on high speed until frosting is smooth. Spread on cooled cake. Sprinkle chopped walnuts over top of the frosting, if desired. yummy it looks esp with bananas inside. Hi Zue, thanks for dropping by my blog!